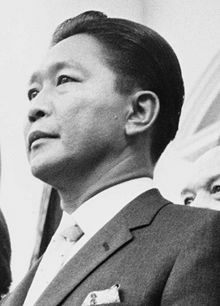 Marcos was a lawyer who ruled as President of the Philippines from 1965 to 1986 before being overthrown by a popular people’s revolt. He is number 2 on Transparency International’s most corrupt leaders list having laundered billions of dollars of embezzled public funds through the United States, Switzerland, and other countries, during his 20 years in power. His wife, Imelda, famously left over 2,500 pairs of shoes in her closet when the pair fled Manila. Punishment: Marcos died of a heart attack in 1989 while in exile in Honolulu, Hawaii, awaiting his trial.